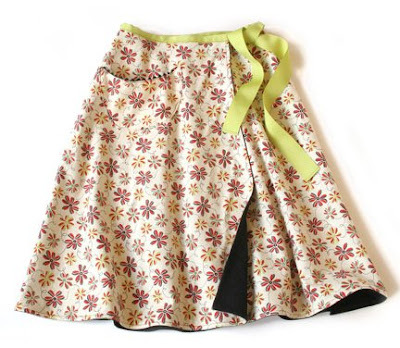 This is the patterned side of the skirt. 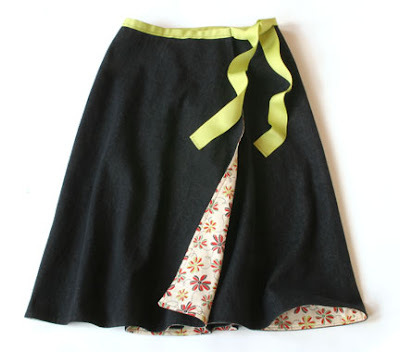 The grosgrain tie waistband allows for ever-expanding waist sizes. The pocket was just a bit of flair to add interest. Reversed, I used a heavier dark-wash denim. 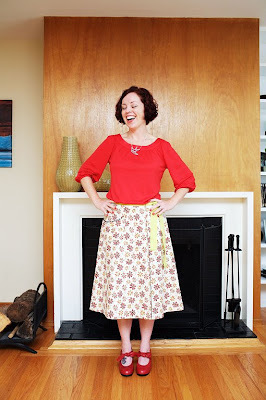 It adds great weight to the skirt and allows the wearer to simplify the look. When the wind blows, you get a hind of the print on the inside.